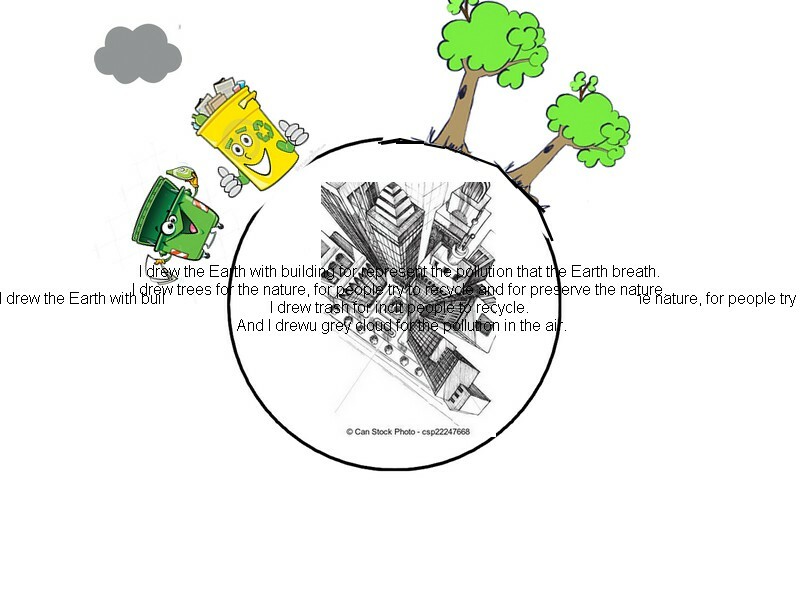 I drew the Earth with buildings for represent the pollution that the Earth breath. I drew trees for the nature, for people try to recycle and for preserve the nature. I drew trash for incit people to recycle. And I drew grey clouds for show the pollution in the air.